An innovative proposal for re-use as a “landbridge” park could not save the Riverside-Figueroa Bridge. A lawsuit could not save it. Los Angeles Historic-Cultural Landmark Number 908 is on its way down. The Riverside-Figueroa’s existing steel span structure dates to the late 1930s. The concrete-arched abutments date to the late 1920s. In the name of safety and based on indefensible 25-year traffic projections, the city of Los Angeles’ Bridge Program is spending nearly $70 million to replace the bridge’s two-lane pinch-point with a freeway-scale 4-lane speedway. 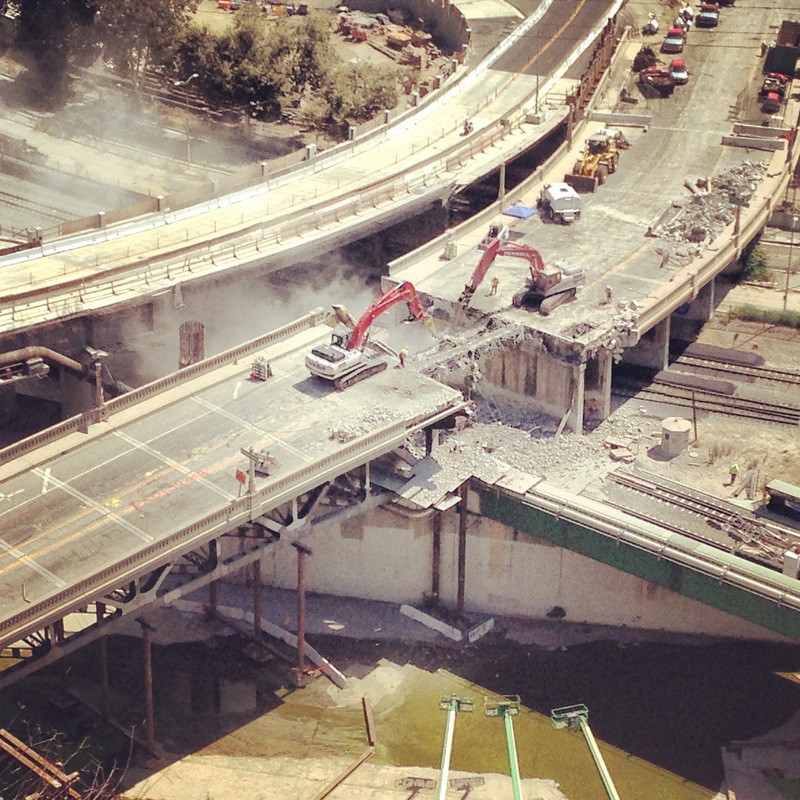 The Eastsider already ran some great aerial photos of the demolition. SBLA complements that coverage with this demolition sequence photographed by Daveed Kapoor. The new freeway-scale bridge, half-completed and already open to car traffic, is visible in the upper left of the photos. See more of Daveed Kapoor’s work at his Instagram feed @daveedkapoor and his architecture practice website Utopiad.org. 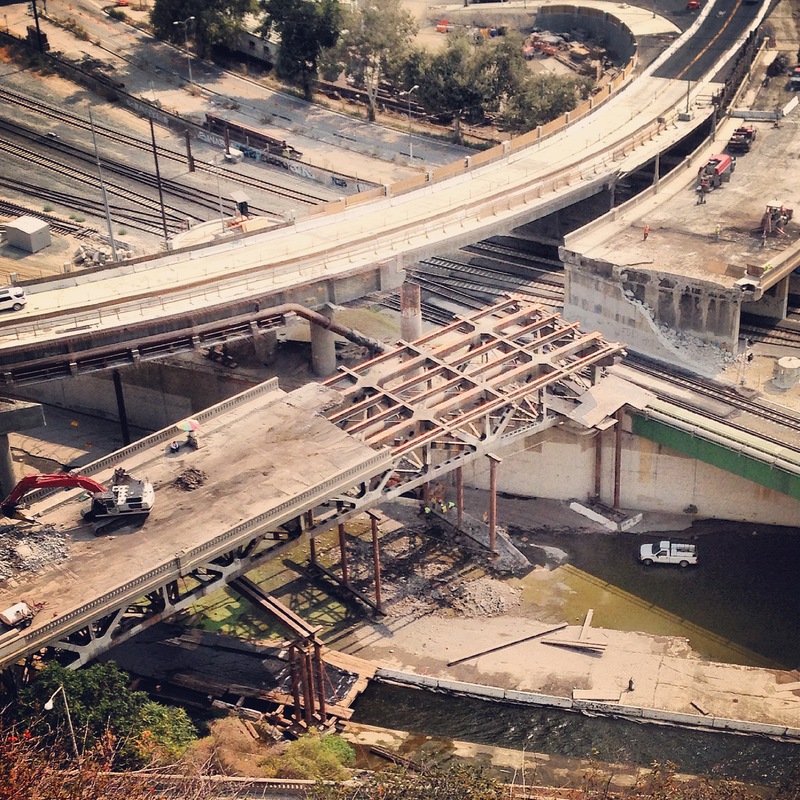 For more history on this unique landmark bridge, see this L.A. Creek Freak piece.